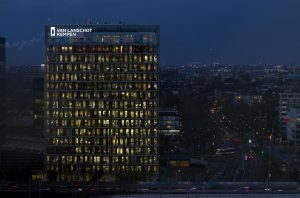 On May 22nd, the next interactive symposium, TopQuants Spring Keynote 2013 will take place at SNS Reaal’s headquarters in Utrecht. You are cordially invited to join this event. David Schrager, Head of Single Premium Variable Annuity Trading at ING Bank. David’s experience passes by ABN AMRO and ING Life Japan, and his focus is the design and risk management of complex financial and insurance products. Sandra Muijs, Head of Model Development at SNS Bank. Sandra holds this position since three years, after being the head of Model validation unit in SNS, coming from a strong academic background. Robert Daniels, Senior Client Risk Manager at Cardano. Robert started his career in consulting in emerging markets, and then moved to DNB for seven years, before joining Cardano. TopQuants Spring Keynote 2013 concludes with drinks and snacks for all participants. This provides ample opportunity for informal discussions and networking. The event is hosted by SNS Reaal, and held at their headquarters, Croeselaan 1, Utrecht. This is located at short walking distance from Utrecht central railway station. Participation is free of charge, but advance registration is required: deadline for registration is May 9th, 2013. To register, please complete this form and send it to springevent@topquants.nl. You can invite friends and colleagues working with derivative pricing models, trading book risk models (market risk and counterparty exposure risk), economic capital models, banking book ALM models, and model validation in the areas mentioned above, by forwarding this email to them.